Reliance Digital has launched two new devices in its Lyf Series, dubbed as the Lyf Water 9 and the Lyf F1 Plus. 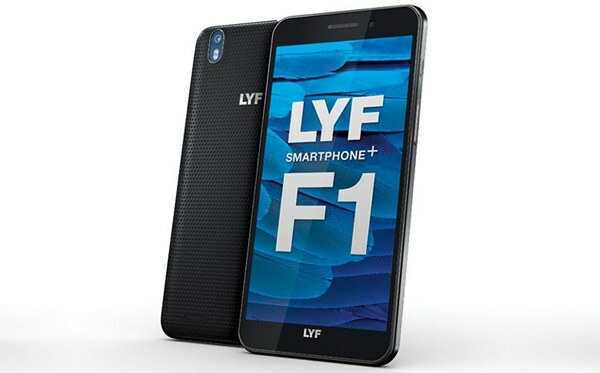 The Lyf F1 Plus is a variant of the Lyf F1 that was released earlier. The Lyf Water 9 has been priced at Rs. 8,499 and the Lyf F1 Plus has been priced at Rs. 13,099. The Lyf F1 Plus has been spotted on Snapdeal. The Lyf Water 9 runs on Android 5.1 Lollipop. The device features a 5.5 inch full HD 2.5D curved glass display. It comes with a pixel density of ~401 PPI. Reliance has promised that the Water 9 will be upgraded to Marshmallow soon. The Lyf Water 9 is powered by an Octa core 1.3GHz MediaTek MT6753 processor clubbed with 2 GB RAM. The device comes with 16 GB of internal storage which can be further expanded up to 32 GB via microSD card. Coming to the camera department, the Lyf Water 9 features a 13 MP rear autofocus camera with an LED flash, with support for video recording up to 1080p. On the front, the device sports a 5 MP camera. Other features include dual SIM support, 4G LTE with VoLTE, Wi-Fi b/g/n, Bluetooth 4.1 and GPS. The phone is powered by a 2800 mAh battery. The Lyf F1 Plus runs on Android 6.0.1 Marshmallow. The device features a 5.5 inch full HD IPS LCD display. It comes with a pixel density of ~401 PPI. The Lyf F1 Plus is powered by an Octa core 1.6GHz Samsung Exynos processor clubbed with 3 GB RAM. The device comes with 32 GB of internal storage which can be further expanded via a microSD card. Coming to the camera department, the Lyf F1 Plus features a 16 MP rear camera with an LED flash and support for video recording up to 1080p. The rear camera also comes with Phase Detection Autofocus and EIS (Electronic Image Stabilisation). On the front, the device sports an 8 MP camera. Other features include dual SIM support, 4G LTE with VoLTE, Wi-Fi b/g/n, Bluetooth 4.1 and GPS. The phone is powered by a 3200 mAh battery. 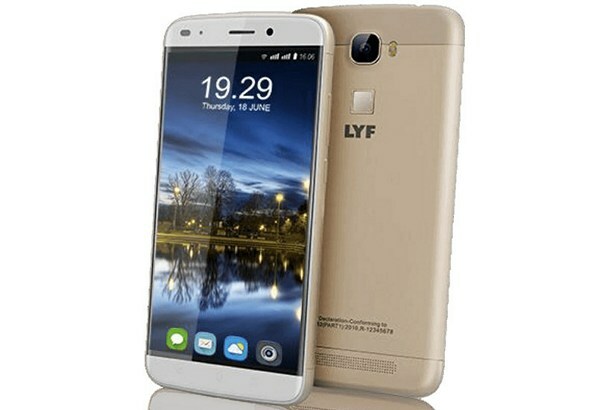 The Lyf Water 9 smartphone is available at Rs. 8,699 at Reliance Digital stores and other Lyf retailers across the country. The Lyf F1 Plus is available at Rs. 13,098 on Snapdeal and other offline retailers.